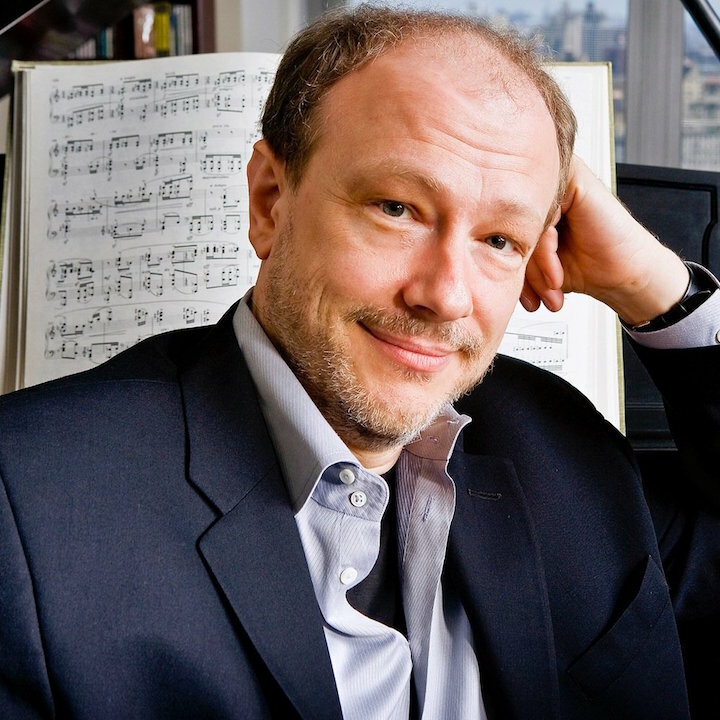 He is the Canadian pianist Marc-André Hamelin (below), who will make his Madison debut this weekend with the Madison Symphony Orchestra when he performs two concertos: “Burlesque” by Richard Strauss and the Piano Concerto in G Major by Maurice Ravel. The program opens with Wolfgang Amadeus Mozart’s Symphony No. 38, “Prague,” and closes with Claude Debussy’s La Mer (The Sea). Performances take place in Overture Hall, 201 State St., on Friday, April 12, at 7:30 p.m.; Saturday, April 13, at 8 p.m.; and Sunday, April 14, at 2:30 p.m. 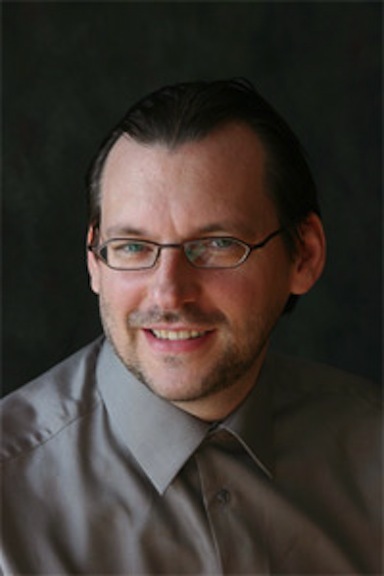 Maestro John DeMain (below, in a photo by Greg Anderson), who will conduct the concerts, says: “Marc-André Hamelin is one of the major pianists of our time. This program features two of the greatest German composers and two great French Impressionists. Always inspired by Mozart, I am delighted to open with his Prague symphony. 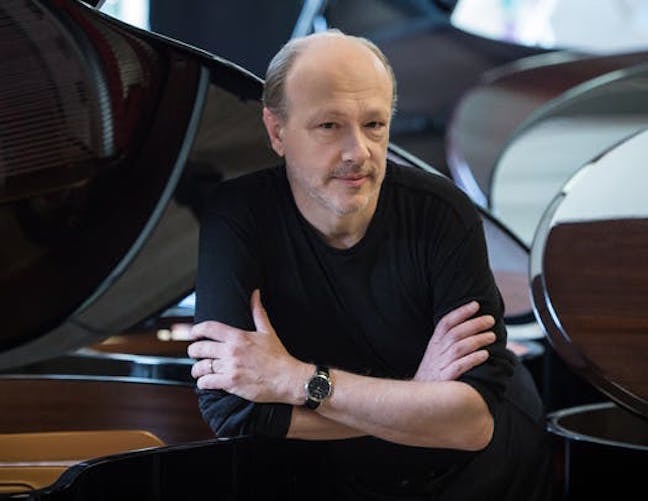 The Oregonian summarizes the featured soloist concisely: “Is there anything Marc-André Hamelin can’t do at the piano?” Pianist Marc-André Hamelin is known worldwide for his unrivaled blend of consummate musicianship and brilliant technique, as well as for his exploration of the rarities of the 19th, 20th, and 21st centuries — in concert and on disc. Although primarily a performer, Hamelin has composed music throughout his career. He was a distinguished jury member of the 15th Van Cliburn Competition in 2017, where each of the 30 competitors in the Preliminary Round were required to perform Hamelin’s “L’Homme armé.” It marked the first time the composer of the commissioned work was also a member of the jury. A prolific maker of recordings, Hamelin (below) was honored with the 2014 ECHO Klassik Instrumentalist of Year (Piano) and Disc of the Year for his three-disc set of “Busoni: Late Piano Music.” An album of his own compositions, “Hamelin: Études,” received a 2010 Grammy nomination and a first prize from the German Record Critics’ Association. 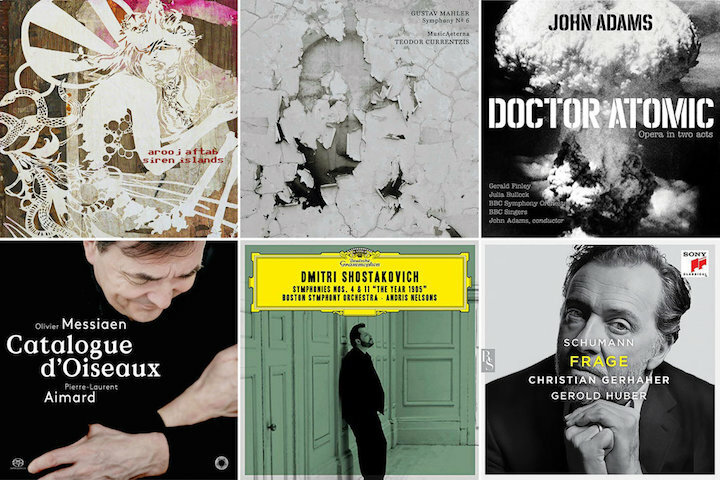 Hamelin is the recipient of a lifetime achievement award from the German Record Critics’ Association. The lobby opens 90 minutes prior to each concert. One hour before each performance, Michael Allsen will lead a 30-minute Prelude Discussion in Overture Hall to enhance concertgoers’ understanding and listening experience. It is free to ticket-holders. 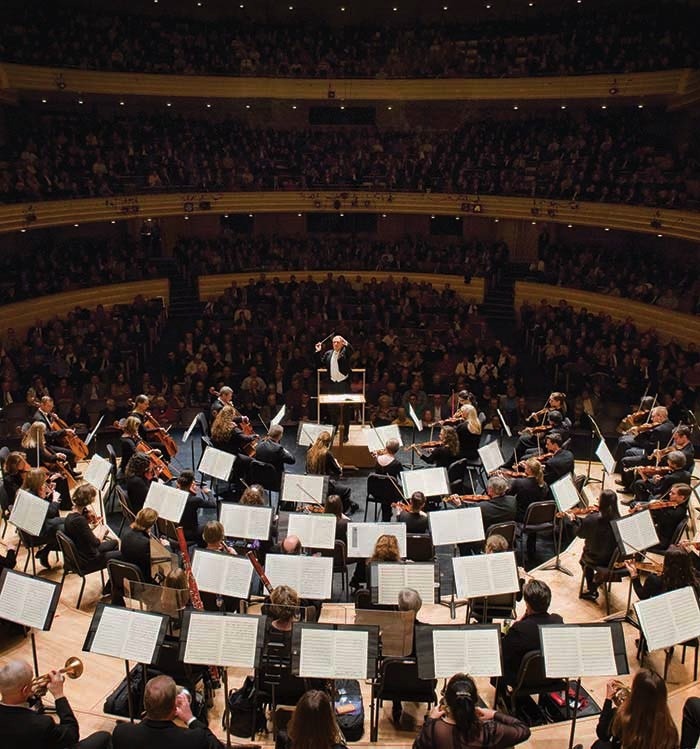 The MSO recommends that concert attendees arrive early for each performance to make sure they have time to pass through Overture Center’s security stations, and so they can experience the Prelude Discussion. through the Overture Center Box Office at 201 State Street, or by calling the Box Office at (608) 258-4141. Fees apply to online/phone sales. Major funding for these concerts was provided by Madison Gas & Electric Foundation, Inc., Fred and Mary Mohs, Skofronick Family Charitable Trust and WPS Health Insurance. Additional funding was provided by Forte, James and Joan Johnston, Gary and Lynn Mecklenburg, Rodney Schreiner and Mark Blank, Stafford Rosenbaum LLP, and the Wisconsin Arts Board with funds from the State of Wisconsin and the National Endowment for the Arts. This coming weekend, the Madison Symphony Orchestra (MSO, below in a photo by Peter Rodgers) will once again perform a program that highlights its principal artists as soloists. 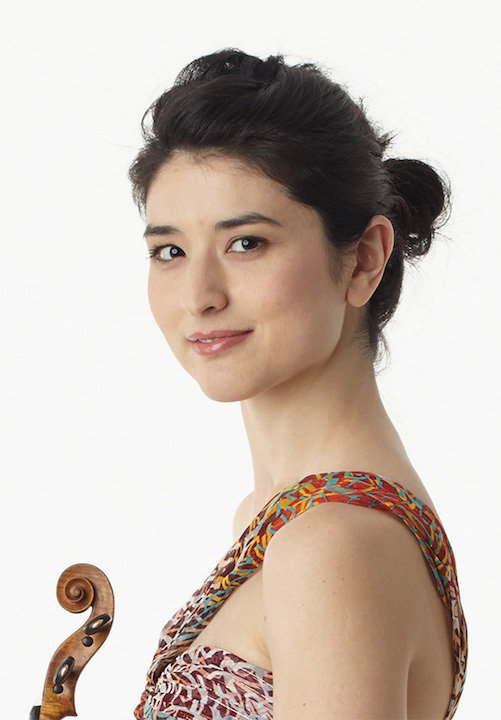 Then the featured artists appear: concertmaster Naha Greenholtz performs Sergei Prokofiev’s Concerto No. 2 for Violin; principal clarinetist JJ Koh follows with Claude Debussy’s Rhapsody for Clarinet and Orchestra; and principal tubist Joshua Biere concludes with Ralph Vaughan Williams’ Concerto for Tuba and Orchestra. For more biographical information about the soloists, see below. Performances will be held in Overture Hall, 201 State Street, on Friday, March 8, at 7:30 p.m.; Saturday, March 9, at 8 p.m.; and Sunday, March 10, at 2:30 p.m. Details about tickets ($18-$93) are below. 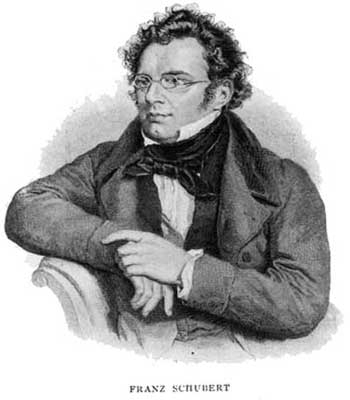 Franz Schubert (below) began composing his “Unfinished Symphony” in 1822, but left the piece with only two movements despite living for six more years. For reasons that remain unclear, the score was shelved until 1860 when the owner finally realized he possessed a gem. He approached conductor Johann von Herbeck with assurances of a “treasure” on par “with any of Beethoven’s,” and Schubert’s “Unfinished” Symphony had its premiere in 1865. 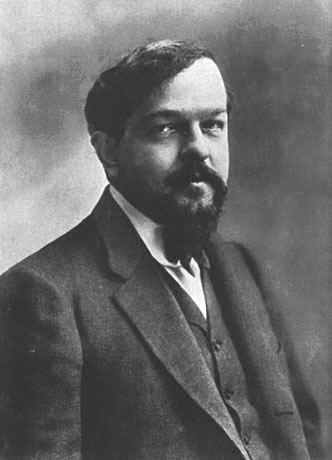 Composed between December 1909 and January 1910, the Rhapsody for Clarinet and Orchestra by Claude Debussy (below) was written as one of two test pieces for the clarinet examinations at the Paris Conservatory. The piece is described as dreamily slow at the start, followed by a duple meter section that moves the music along until the joyous final section. 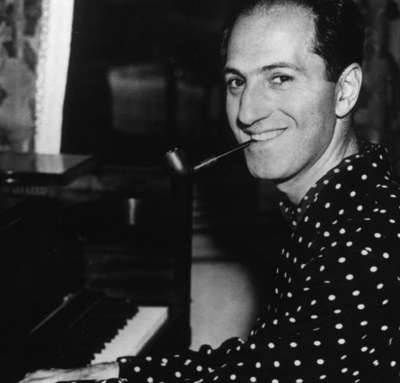 was written in 1953-54 to mark the 50th anniversary of the London Symphony Orchestra. 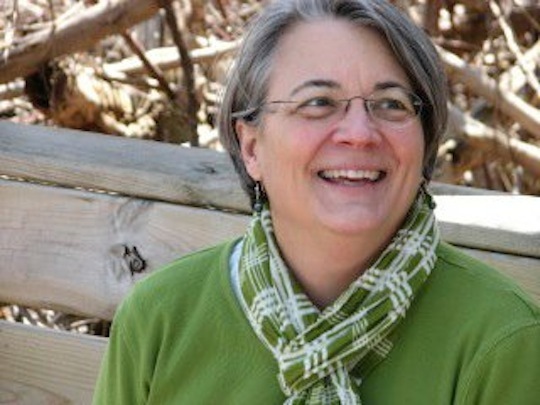 Naha Greenholtz (below, in a photo by Chris Hynes) is concertmaster of both the Madison Symphony Orchestra and the Quad City Symphony Orchestra. Additional performance highlights include guest concertmaster appearances with the Oregon Symphony, Calgary Philharmonic, National Ballet of Canada, Omaha Symphony and Memphis Symphony, among many others. Additionally, she performs frequently with the Cleveland Orchestra both domestically and abroad. 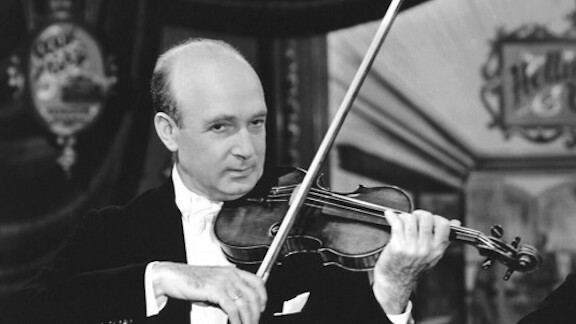 Greenholtz has also held positions with the Milwaukee Symphony Orchestra and the Louisiana Philharmonic Orchestra, joining the latter as Associate Concertmaster at age 21. 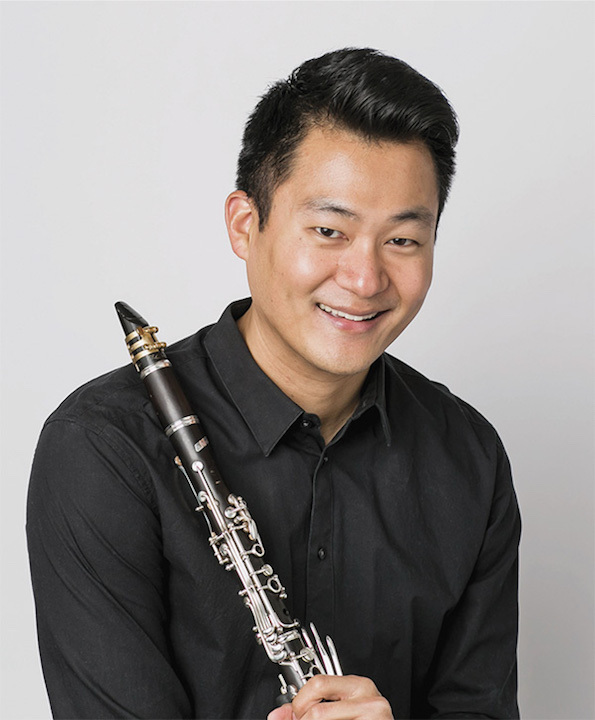 JJ Koh (below) joined the Madison Symphony Orchestra as principal clarinetist in 2016. 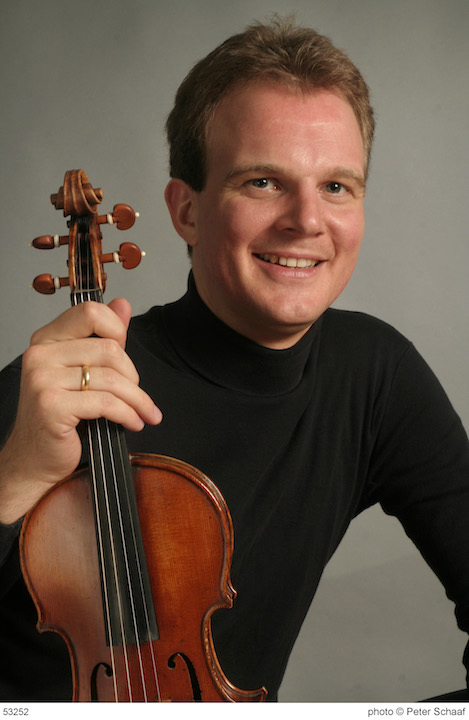 In addition, he holds a position with the Milwaukee Symphony Orchestra, and Wisconsin Chamber Orchestra. 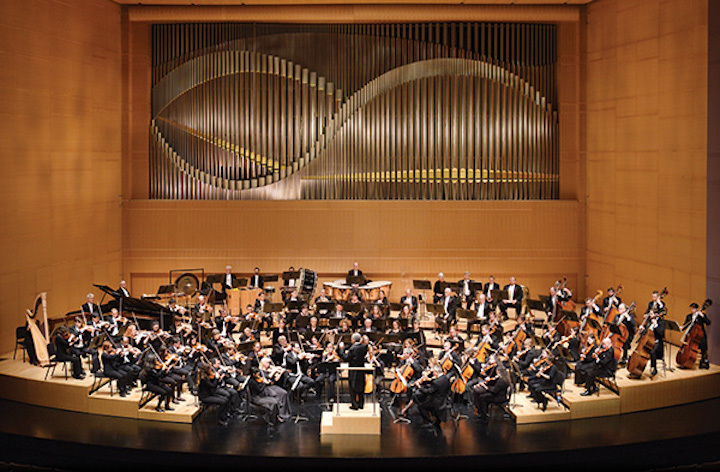 Prior to joining the MSO, Koh was a member of the Civic Orchestra of Chicago. He is a founding member of the Arundo Donax Reed Quintet, and a winner of the Fischoff National Chamber Music Competition. As principal clarinetist of KammerMahler, Koh participated in a world premiere recording project, which featured chamber versions of Gustav Mahler’s Fourth and Ninth Symphonies. 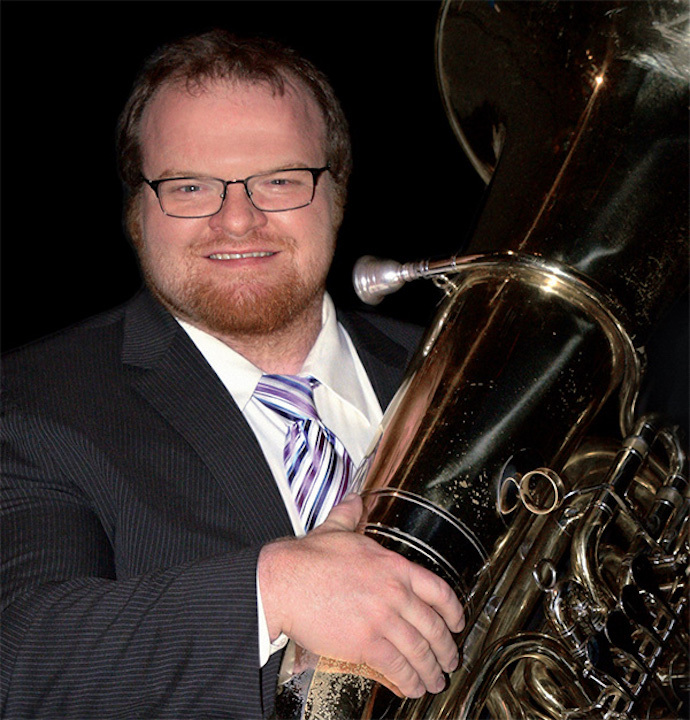 Joshua Biere (below, in a photo by Peter Rodgers) joined the Madison Symphony Orchestra as principal tubist in 2013. He also holds the principal tuba chair with the Kenosha Symphony and regularly performs with the new Chicago Composers Orchestra. Biere has also performed at the Grant Park Music Festival (Chicago), and with the St. Paul Chamber Orchestra. 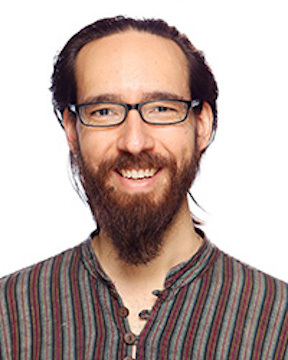 An established chamber musician, Biere is also a highly sought-after clinician and teacher, maintaining a studio of well over 35 tuba and euphonium students. The lobby opens 90 minutes prior to each concert. One hour before each performance, maestro John DeMain will lead a 30-minute Prelude Discussion in Overture Hall to enhance concertgoers’ understanding and listening experience. It is free to ticketholders. Presenting sponsorship provided by the Kelly Family Foundation. 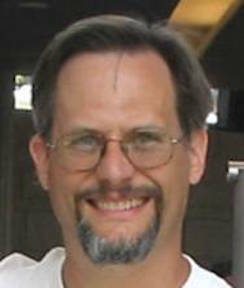 Major funding provided by Madison Magazine, Louise and Ernest Borden, Scott and Janet Cabot, and Elaine and Nicholas Mischler. Additional funding provided by von Briesen & Roper, S.C., and the Wisconsin Arts Board with funds from the State of Wisconsin and the National Endowment for the Arts (NEA). 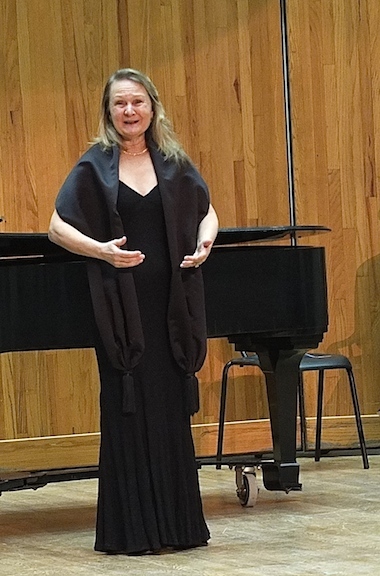 ALERT: This week’s FREE Friday Noon Musicale at the First Unitarian Society of Madison, 900 University Bay Drive, will feature flutist Marilyn Chohaney, of The Oakwood Chamber Players, with pianist Joseph Ross and clarinetist James Smith. The program is salon music by Arnold Bax, Florent Schmitt, Claude Debussy and Dmitri Shostakovich. Sorry, no titles have been given. The concerts run from 12:15 to 1 p.m.
On this coming Saturday afternoon, Jan. 26 at 2 p.m. at Capitol Lakes Retirement Community, 333 West Main Street – two blocks off the Capitol Square — there will be an hour-long program featuring five young singers performing Handel arias. 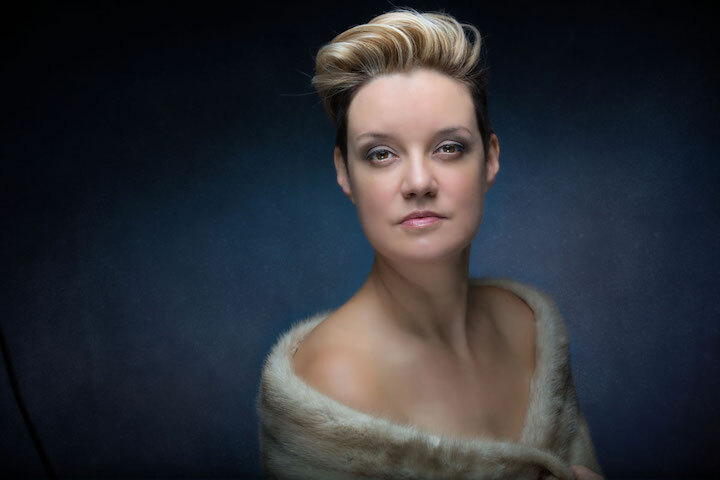 There will also be a guest performance of a Handel duet by the Handel Aria Competition’s new artistic director Sarah Brailey (below top) and founding artistic director Cheryl Bensman-Rowe (below bottom). You can hear Brailey, who won the Handel Aria Competition in 2015 and is now doing graduate work at the UW-Madison’s Mead Witter School of Music while pursuing her growing career, in the YouTube video at the bottom. 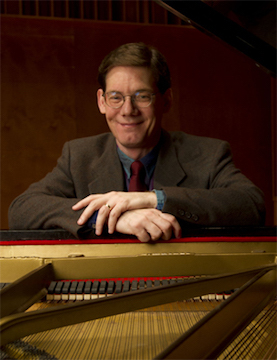 Karlos Moser, professor emeritus of the UW-Madison Mead Witter School of Music’s opera program, will accompany on the piano. The performance is FREE and OPEN TO THE PUBLIC. “Our goal is to encourage high school singers in the Madison, Wisconsin area to explore works from Handel’s vocal repertoire,” says Brailey. 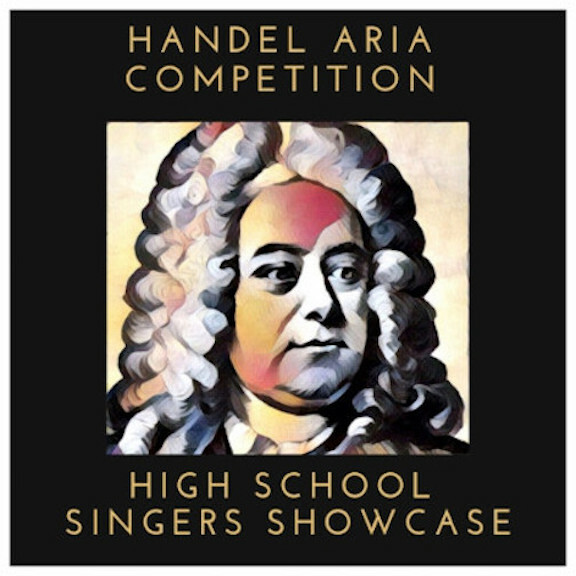 All participating high school singers will receive a $100 Handel Aria Competition scholarship towards voice lessons or membership in the Madison Youth Choirs. The high school singers who will perform are: Allana Beilke from Madison West High School; Daphne Buan from Verona Area High School; Ava DeCroix from Middleton High School; Cecilia League from McFarland High School; and Virginia Morgan from Madison West High School. The students are all very active in the local arts scene and have participated in Wisconsin Badger All-State Choir, the Madison Opera Youth Apprentice Program, the Madison Symphony Chorus, the 50th anniversary Wisconsin School Music Association State Honors Treble Choir, and have won numerous awards in the National Association for Teachers of Singing Student Auditions and the State Solo and Ensemble Festival. Classical Music: The Chicago Gargoyle Brass and Organ Ensemble will take Madison listeners on a FREE concert of ‘Imaginary Journeys’ TONIGHT at 7 p.m. 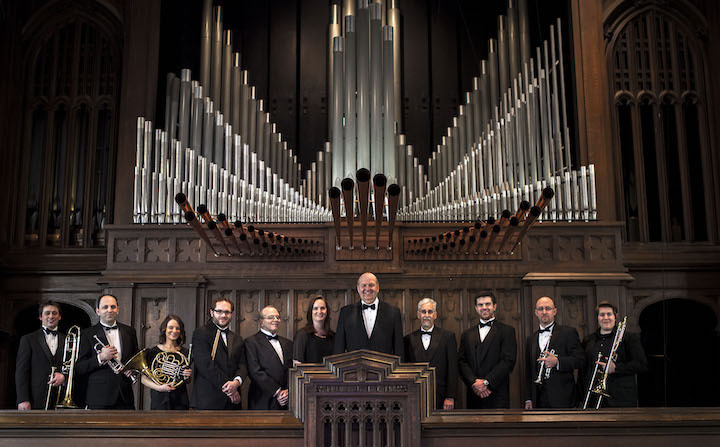 The Chicago Gargoyle Brass and Organ Ensemble (below, in a photo by Thomas Mohr) will lead listeners on aural adventures through space, time and fantasy at its “Imaginary Journeys” concert TONIGHT, Oct. 27. 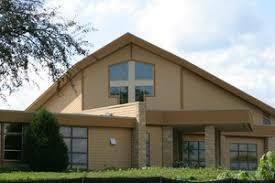 The concert is FREE and open to the public, and will take place at 7 p.m. at Good Shepherd Lutheran Church, 5701 Raymond Road, in Madison. For more information, call (608) 271-6633 or visit www.gslcwi.com or gargoylebrass.com. The professional ensemble of brass quintet and pipe organ, with percussion, will perform the Madison premieres of new works and arrangements it recently commissioned for its novel array of instruments. 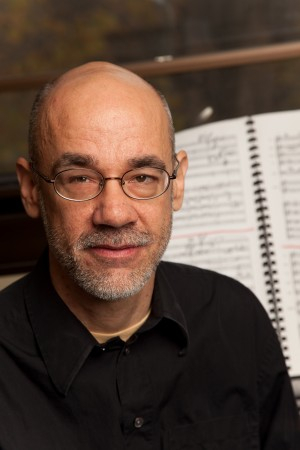 The concert’s namesake work, “Imaginary Journeys,” was written for the ensemble by Chicago-area composer Mark Lathan. It takes listeners on a rocket-powered interstellar adventure, inspired by recent astronomical discoveries. “For this piece,” Lathan says, “I wanted to bring in some drama, somewhat in the manner of a film score.” Lathan earned a doctorate in music from the University of California at Los Angeles, where he received the Henry Mancini Award in Film Composition and studied film scoring with Jerry Goldsmith. Another Madison premiere is Craig Garner’s brass-and-organ arrangement of Igor Stravinsky’s ever-popular Suite from “The Firebird,” a ballet based on Russian fairy tales. “The audience will hear an all-time favorite orchestral work like it’s never been heard before,” says Rodney Holmes, founder and artistic director of the Chicago Gargoyle Brass and Organ Ensemble. The concert’s journey into the Baroque era includes brass and organ arrangements of movements from Johann Sebastian Bach’s chorale cantata “Ein feste Burg ist unser Gott” (A Mighty Fortress Is Our God), BWV 80. 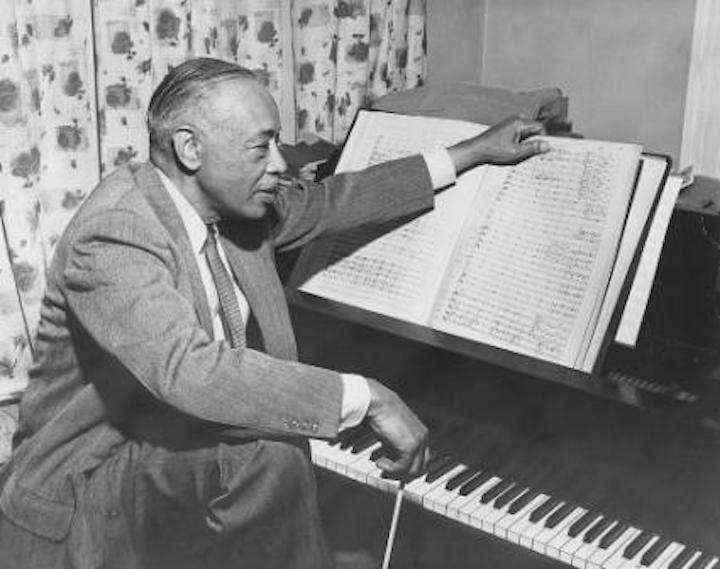 The concert’s imaginative works include “Earthscape” by David Marlatt (below, and heard in the YouTube video at the bottom) as well as pipe-organ versions of “Clair de lune” (Moonlight) by Claude Debussy and Louis Vierne. 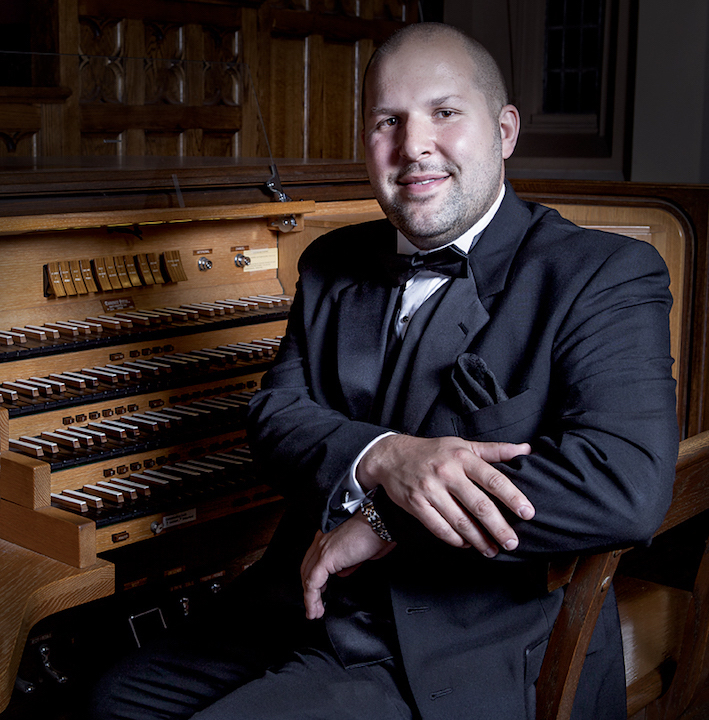 Performers will include Madison-based organist Jared Stellmacher (below), an award-winning musician heard on the Chicago Gargoyle Brass and Organ Ensemble’s critically acclaimed 2015 debut CD “Flourishes, Tales and Symphonies.” He holds a master’s degree in music from Yale University. Gargoyle ensemble players are trumpeters Lev Garbar and Andrew Hunter, horn player Amy Krueger, trombonist Ian Fitzwater, tuba player Jason Lyons, and percussionist Logan Fox. 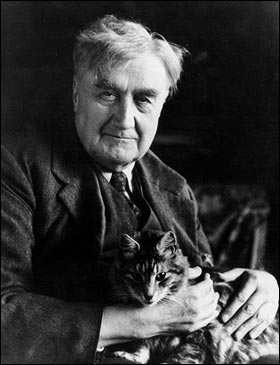 Conductor will be Jakob Noestvik. The group takes its whimsical name from the stone figures atop gothic buildings at the University of the Chicago, where the now-professional ensemble got its start in 1992 as a brass quintet of faculty and students. 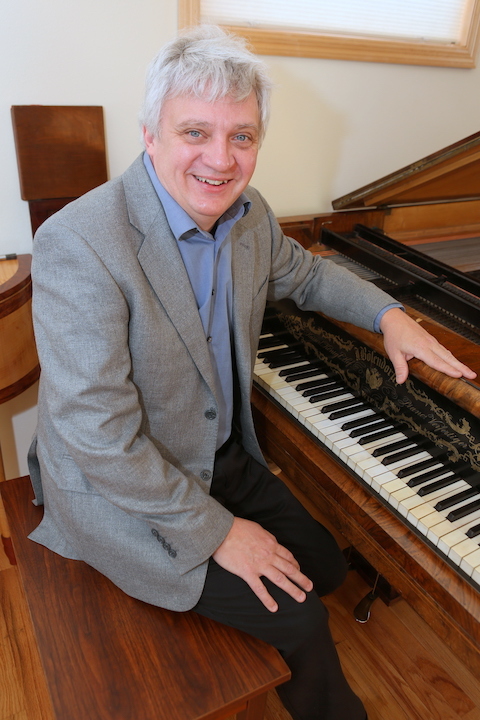 Under its founder and artistic director Rodney Holmes, it has evolved over the decades into an independent organization of classically trained musicians that focuses on commissioning and performing groundbreaking new works and arrangements for brass and pipe organ. More information can be found at gargoylebrass.com. Classical music: This Sunday afternoon brings percussion music from Clocks in Motion and a performance by the Edgewood Chamber Orchestra. This Sunday afternoon brings two noteworthy concerts: a selection of percussion music from Clocks in Motion and a performance of classic composers by the Edgewood Chamber Orchestra. This Sunday afternoon at 2 p.m., the local percussion group Clocks in Motion will perform at its Rehearsal Facility, located at 126 West Fulton Street in Edgerton, Wisconsin. Members of Clocks in Motion (below, performing in 2017) are Matthew Coley, Chris Jones, Sean Kleve and Andrew Veit. Admission to the limited seating is $10, with donations accepted. 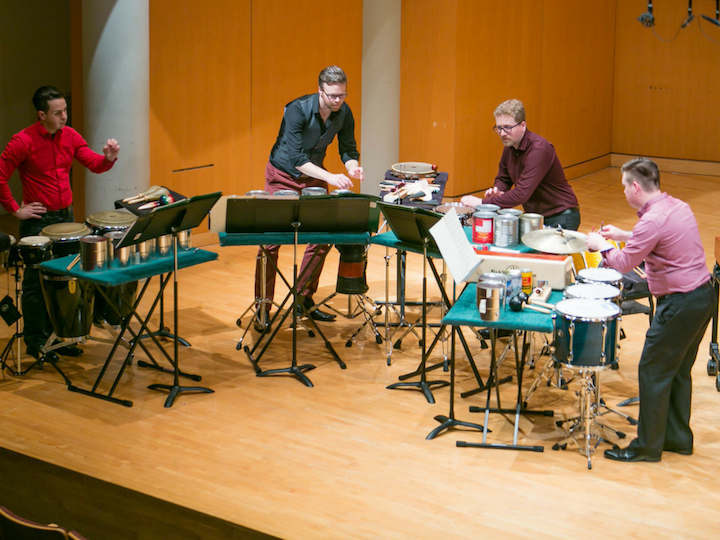 Presenting music never before heard in Wisconsin, Clocks in Motion Percussion will be performing classic repertoire and local premieres in this special event. *Denotes this piece was written specifically for Clocks in Motion. Hailed as “nothing short of remarkable” (ClevelandClassical.com) and “the most exciting addition to Madison’s classical music scene” (Isthmus), Clocks in Motion is a percussion quartet that performs new music, builds many of its own instruments, and breaks down the boundaries of the traditional concert program. Formed in 2011, Clocks in Motion is quickly becoming a major artistic force in today’s contemporary music scene. 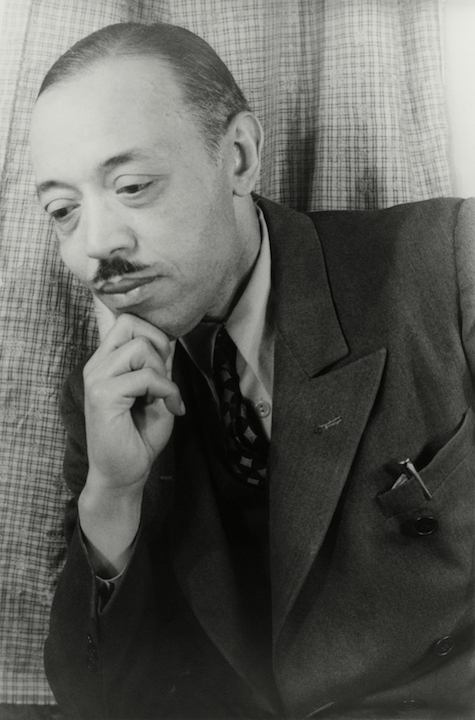 Among its many recent and upcoming engagements, the group served as performers at the Interlochen Arts Academy in Michigan; The Stone in New York City; The Overture Center for the Arts; Casper College in Wyoming; the University of Michigan;, Baldwin-Wallace University in Ohio; the University of North Carolina-Pembroke; and the Ewell Concert Series in Virginia. The Edgewood Chamber Orchestra will give a concert on this Sunday afternoon at 2:30 p.m. in the newly remodeled St. Joseph Chapel, 1000 Edgewood College Drive. 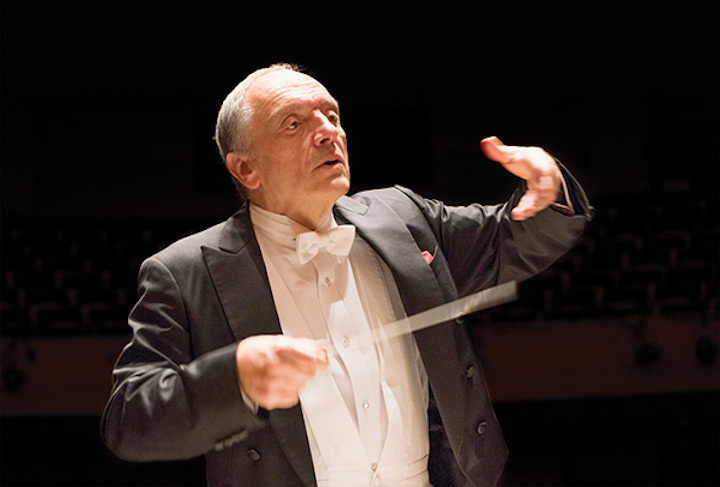 The orchestra will perform under the baton of Blake Walter (below). 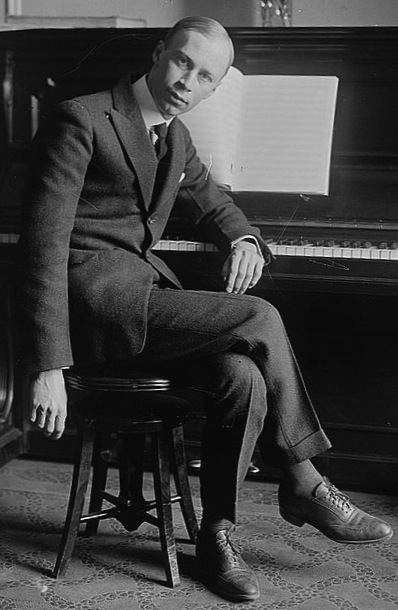 The program features three arrangements of piano works by Claude Debussy; Arabesques 1 and2, arranged by Henri Mouton, and the seldom-performed Sarabande, arranged by Maurice Ravel. Other works to be performed include Luigi Cherubini’s Overture to the opera Medea, and Symphony No. 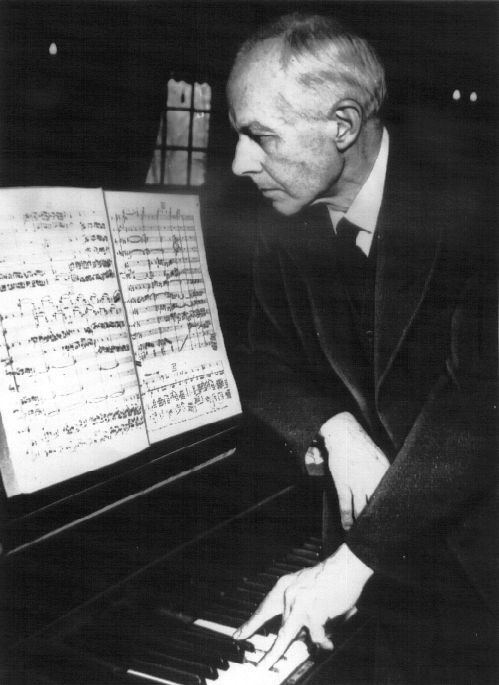 59, subtitled “Fire,” by Franz Joseph Haydn. Admission is $5 for the general public, free with Edgewood College ID. 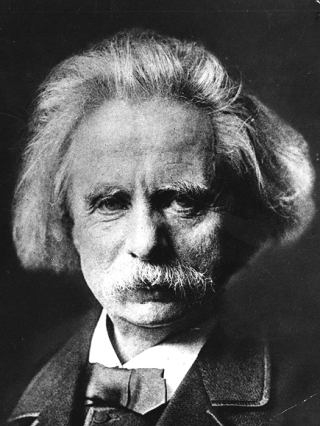 And there is certainly much more to Grieg (1843-1907, below), Norway’s first internationally renowned composer, than the popular Piano Concerto in A minor and “Peer Gynt” Suite. To help spread the word about this original but accessible composer who mastered melody and harmony as he incorporated Norwegian folk songs and folk dances into his work, the Edvard Grieg Society of the Great Lakes was formed last year. This semester’s meeting will be on Saturday afternoon at the University of Wisconsin-Madison’s Mead Witter School of Music. It will start with a master class at 1 p.m. that is FREE and open to the public. 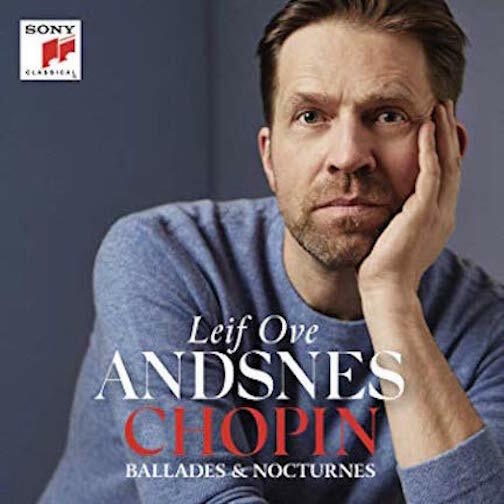 Here is a link to more information about the performances and the complete program, which unfortunately doesn’t translate many of the song titles from Norwegian into English. 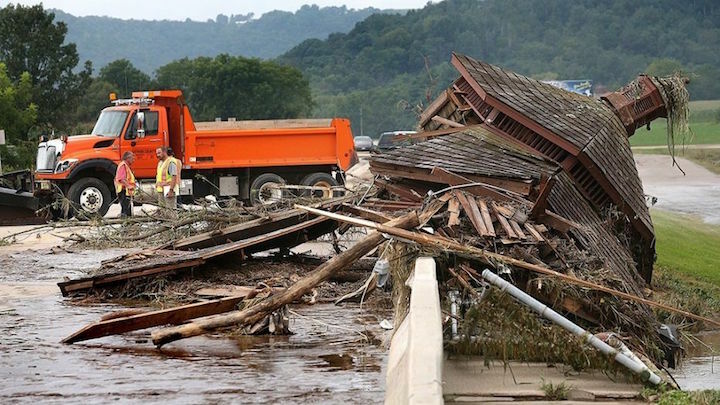 So much of Wisconsin is already so flooded after the past week or 10 days that an open-ended state of emergency has been officially declared for the entire state. And now the weather predictions for the next week or so are for more rainstorms and thunderstorms every day — complete with watches, alerts and warnings from the National Weather Service. Will those storms swell the rivers and lakes even more? 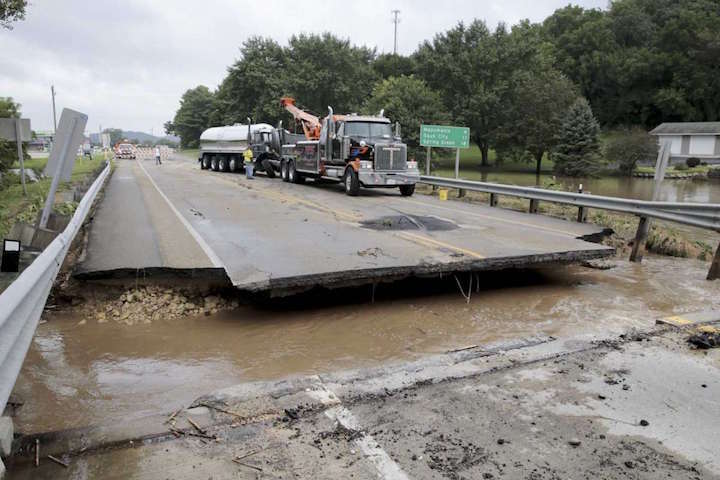 Will more streets be closed and bridges destroyed? Will more basements and even whole homes and buildings be ruined? Will more businesses be forced to close? The Ear knows a lot of music about water, especially by Claude Debussy. But so much of the water music from Handel and Smetana to Wagner and Debussy seems restorative or calm or redemptive or simply descriptive. 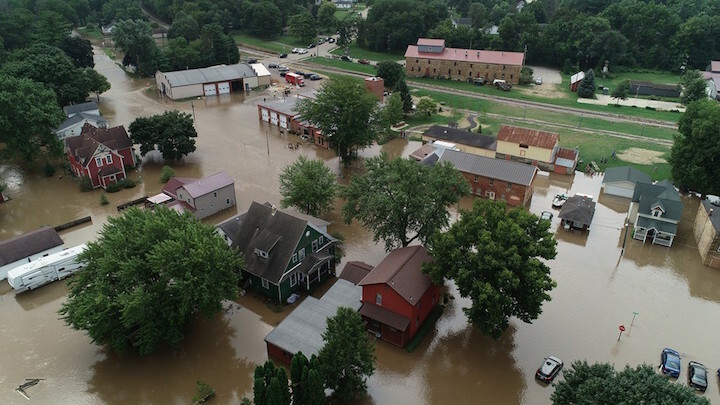 But the water Wisconsin faces makes us edgy and nervous while we wait to see what happens because the weather could bring more devastation and destruction. The closest music comes to the right mood is the frenetic and even violent quality of the summer storm in “The Four Seasons” by Antonio Vivaldi and the energetic violin playing by Joshua Bell. If you can think of a better piece, let The Ear know.